BYRNE Equipment Rental LLC has selected Generac Mobile Products to support its depot operations in keeping its generator, light equipment and a selection of fleet vehicles clean, by choosing a premium Wash Rack System. 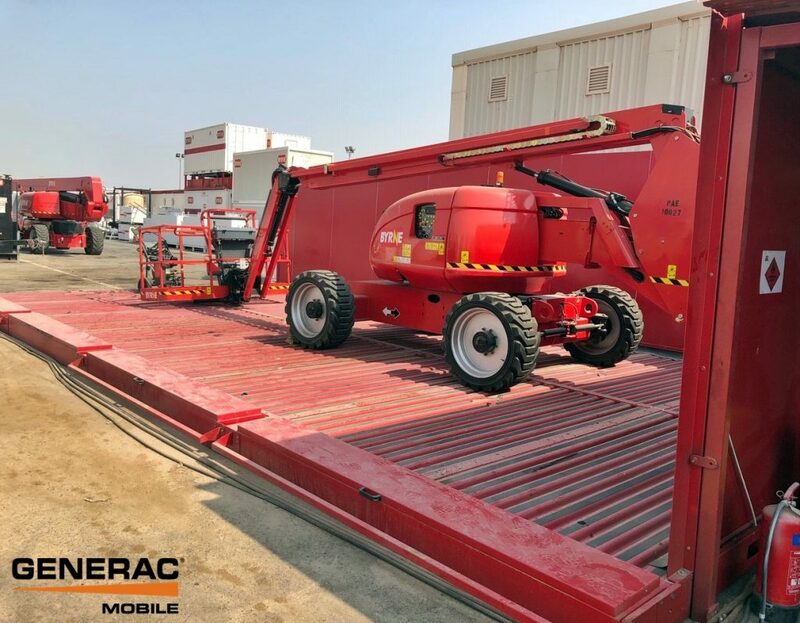 At their new depot in Mina Abdullah, Kuwait, the customer required a practical, safe and reliable cleaning system which would not only help reduce water costs but would also improve the consumption of water during the plant equipment hose down and clean-up operation. 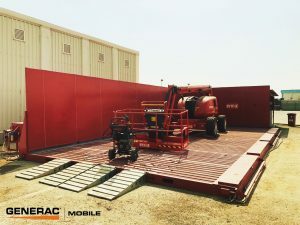 For this project, a premium 6 x 12 m self-contained Generac DF Ecology Wash Rack, with a 15 tonne capacity and special side loading ramps for forklift access, was chosen to promote efficient water use and help the company meet environmental protection codes against contamination of soil and water systems from oils and hydrocarbons when cleaning equipment. The Middle East is proactively adopting measures and implementing new practices to improve sustainable water management across the territory which it views as critical to its future development and vital in response to the challenges of global warming (Source: World Bank). The DF Wash Rack range not only helps to reduce water costs but offers an environmentally friendly cleaning system where more than 80% of the water is recycled through a filtration system. Following extensive meetings with the customer’s engineering and management teams, as well as onsite visits, the Generac team presented a tailored specification which would essentially meet the weight capacity of the customer’s equipment. One of the key advantages of the Generac Wash Rack System is that the system can be built in modular form. This enables every customer to spec and scale their wash rack according to their site requirements and fit the space available. Key features of the Byrne unit included adding two double pumps with each double pump transferring dirty water into the filtration system. Due to the high volume of dust on the site, Generac developed this special model with a double filtration system and double decanter tank. This created an effective “two-in-one” Wash Rack with two different filtration systems working in parallel, providing high volumes of clean water, up to 36 litres per minute, to a single high-pressure washer. The pressure washers work simultaneously cleaning and hosing down fleets and allowing two people to work together in one wash rack unit. Currently the Wash Rack System is handling a current fleet of almost 400 items of plant and equipment which is set to grow quickly as they scale up in Kuwait. The customer is reviewing the opportunity to install further wash rack units as more new depots come on stream in the territory.